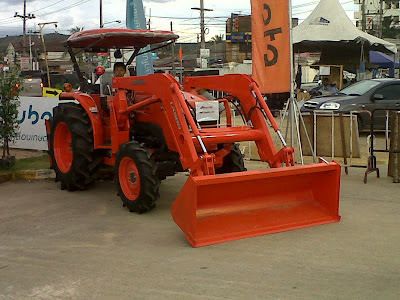 During the Agricultural fair in the University, Agricultural or farming equipment shop didn't took off behind the loop. I think that the main purpose of the Fair that the University. They want to promote agriculture on the scale and no doubt lots of farmers in the neighboring town didn't leave behind this event without their presence. 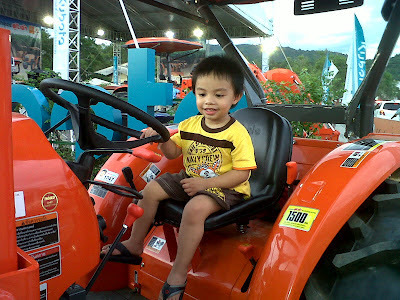 For our Jaden, it was a dream come true for him to even sit down and hold on the steering with his own hands. We can see the excitement in his face. We had a hard time getting him off the truck later. He really likes trucks, cars or shall we say any kinds of vehicles. sorry for the late reply....due to blog hacked until now couldn't log in and update my blog..